Hi, my name is Porshèa Patterson and I have a confession: I’m a Black woman who hasn’t read books with characters’ racial/ethnic, gender, or ability identity in mind. Growing up, I was a voracious reader consuming any fictional stories that contained magic, strong female characters, intrigue or mystery, history, or all of the above. Often these stories were about white characters who either appeared as such on book covers or were described with attributes of white people — blonde flowing hair or alabaster skin — which, to be quite honest, were not always clearly white to me. People of color can also have blonde flowing hair, blue, green, gray, or hazel eyes, and alabaster can be stark white or gradients of brown. In fact, it was not until I attended Lincoln University, a historically Black university, as an undergraduate student that I began to question how these identities shaped my consumption of media. Upon reflection, I realized that when I read books and watched movies or TV shows, I didn't seek to identify with characters because of their racial or ethnic backgrounds, though I often bypassed extremely white shows like Friends and chose to watch shows with female leads most. The highest priority for my entertainment choices was that I was introduced to vibrant worlds and cultures where I could see fairness and accountability in play. Coming from a smallish town in Middle Tennessee, my idea of fairness was very much shaped by my white peers and teachers, whom I engaged with most during classes and social events. To them, fairness meant seeing things from ‘both sides’ and compromising on a concept that didn’t concede the point in question with ‘either side.’ These were all perspectives I had to unlearn by questioning why I was comforted by certain media over others. It just so happens that one of the book series that resonated with me most is also one of the most popular franchises of all time, Harry Potter. Being a longtime fan of the series and a recent addition to Harry Potter fandom communities means that any news about future stories or character backgrounds was met with happiness and anticipation. Was. Yet, since the release of Magic in North America on the Pottermore website, I’ve met all news coming from official content production sources with dread and preemptive disappointment. After seeing Native American Harry Potter fans, namely Dr. Adrienne Keene and Johnnie Jae, address the issues in J.K. Rowling having a white, Scottish character create the first and only accredited Wizarding school in North America, where she moved with the same sense of ownership over the land as other colonizers, my guard went up. Following Rowling’s dismissive response once confronted, I knew that I could never read her work without also understanding that she does not care at all about how the representation, or lack thereof, of characters and communities she does not belong to reinforce ignorance, racism, sexism, classism, latent homophobia, transphobia, or ableist thinking. I’ve been lucky enough to engage with fandom communities through Black Girls Create and The Harry Potter Alliance which have helped me to deal with and gain clarity on the ways in which the Harry Potter series lives on through activism and critical discourse. Belonging to these fan networks means engaging in fan theory, fan-created projects, and fan fiction. However, Warner Brothers limits and even impedes fan-made products and Rowling complies by trying to be our sole official Wizarding World supplier. We can see her frustration with the fandom becoming something she cannot control or intuitively understand its needs. Instead of embracing the people who have issues and are vocal about wanting to help make things better, she ignores them in favor of ‘yes’ fans, who have the same limited understanding of marginalization as she does. 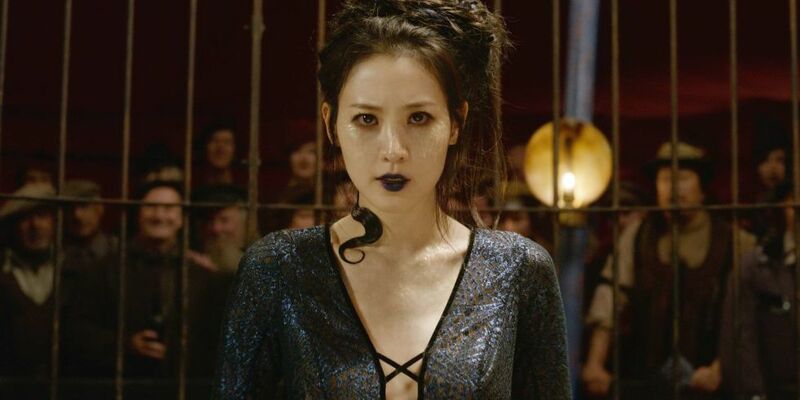 The promotion of the latest Fantastic Beasts movie has exacerbated all of these issues, especially after the surprise unveiling of the only Asian woman character in a speaking role in the Fantastic Beasts series with more than two lines — we hope — presumably becoming the tool of white supremacy/blood purity later in the franchise. I made my earlier confession to make it clear that because I understand my own blind spots and limitations, I am also empathetic to these issues of within us all. I have admired the strength, creative vision, and social mores that Rowling has embodied as an author, particularly when the fandom was at its nadir. Unlike other popular authors who have similar world-building talents, Rowling never announced deadlines that she couldn't meet and remained true to her characters’ traits, instead of integrating fanfiction that made no sense into canon. That is, until recently. Rowling's prolific writing prowess aside, the feature of the Harry Potter series that resonates most with the fans I engage with are the social mores of acceptance, standing against tyranny, questioning the status quo, and doing the right thing. By building the Harry Potter series as an allegory of these principles, Rowling has established that these values are important to her and supports these ideals in some of her interviews and tweets. Simultaneously, her remarks in the same spaces also indicate her socio-political shortcomings. While many Potterheads of Color had no choice but to grow up with a hyper-awareness of the myriad of ways in which their identities are scrutinized and discriminated against in the world, Rowling has not had this experience. Race and ethnicity, gender and sexual orientation, ability and disability each directly impact the ways in which peers, supervisors, content creators, and service providers decide how they treat us in formal and informal environments. Yet, in the Harry Potter series, there is little representation of characters who identify as any of the above and the ire they must face as someone who belongs to any of these communities. The main discriminatory thread that Rowling presents throughout the series is the concept of blood purity and the use of a slur for those regarded as impure blood being used by members of Wizarding society who are considered backward thinking by the general populace. In many ways, the Harry Potter franchise and greater fandom are very reflective of white progressivism. Its steps and missteps look like the same conversations we have in political spaces. Directly impacted communities ask for inclusivity and the powers that be give us performative inclusivity. We voice opposition to the ways in which our lives have been presented and consumed by white people, then are told that we want too much or our opinions are invalid. In fact, one of the most egregious ways in which white liberals, including Rowling and her Harry Potter network, respond to the concerns raised by directly impacted communities is by ignoring our observations in service to their own sense of comfort. This obstinance leads Rowling to make oblivious statements like the Fantastic Beasts franchise was created in service to fans. Ironically, this statement will haunt the author, as even some of her most forgiving fans are taken aback by the latest installment of the series as evidenced by its its numerous, poor reviews. We are living in the time of peak social engagement, wherein societal blind spots are being brought to light. I urge us all to engage with those who openly share experiences that we do not have so that our shared values are as enlightened and inclusive as they are full of love.